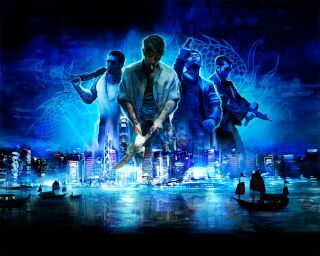 Triad Wars, the successor (but not sequel) to Sleeping Dogs, is in closed beta, and United Front Games has kindly given us 10,000 beta keys to give away. Herah! Get a key, and you'll be running and driving around Hong Kong building a criminal empire—and punching. Lots of that, we expect. To give as many readers as we can a fair chance at getting a key (and not just the people who happen upon this post first), we've set up a raffle. Fill out the form below, and on Wednesday at 2 pm PDT, 10,000 entrants will be randomly selected and emailed codes with instructions on how to redeem them. Good luck!